As the new year takes shape, Rick Broadbent gives his answers to the five big questions facing athletics. What will happen to Caster Semenya? November, but the case is now being played out behind a wall of silence, with reports that Semenya is threatening to sue for $120 million (about £75.2 million). The test results will never officially be made public, but the questions will not go away. 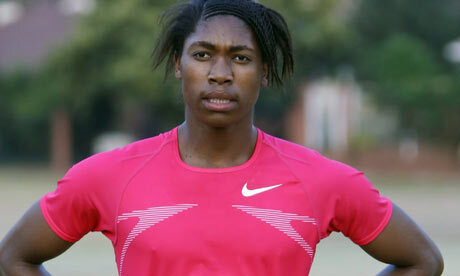 The public interest in the case, some of it prurient, will be whetted if Semenya fails to appear for the start of the South African domestic season in Germiston on January 22. The same will go for the World Indoor Championships in Doha, Qatar, in March. There are several potential outcomes. One is that Semenya will continue to run as a woman without any treatment, whether it be hormonal or surgical. The protracted nature of the case and the fact that Harold Adams, the South Africa team doctor, recommended Semenya be withdrawn from the World Championships last August mean that is highly unlikely. The other options are that Semenya returns after treatment or that she fades away to obscurity, let down by those who leaked her case details and others who tried to taint the case with political and racial hues. Will the Diamond League work? The inaugural Diamond League is a welcome attempt to harmonise a fractured season with a series of head-to-head meetings between the biggest stars. All well and good. Usain Bolt and Tyson Gay, the fastest men in history, will have central contracts committing them to a certain number of races. The trouble is that, while Gay says he will race Bolt at least three times this year, nobody knows where or when these will take place. The wider problem is the league system does not work in athletics because so few competitors will commit to a series when their real goals are the big championships. However much it is talked up, winning the Diamond League will be way down a list of priorities. Will England go to the Commonwealth Games? Last week senior Whitehall officials were quoted as saying there was “virtually no chance” of a team travelling to Delhi, but that was quickly knocked down by Commonwealth Games England, which met security officials at its most recent board meeting.However, many athletes, including Jessica Ennis, the heptathlon world champion, have already decided to skip Delhi because, in October, it comes too late in the year. That means that any team that do go are likely to be made up largely of young talent whose performances fall short of UK Athletics’s stiff qualifying standards for the more important European Championships in July. Of equal concern to the Games organisers is Bolt. Suresh Kalmadi, the chairman of the organising committee, said that the sport’s solitary megastar was scheduled to run in Delhi, but the laid-back Jamaican plans to take it easy in 2010 and his manager, Ricky Simms, says no decision will be made until the summer. If Bolt and England stay at home, it could be the death knell for the event. Will Justin Gatlin be welcomed back? “He’s beaten everybody but me,” the former world record-holder said of Bolt. “Everyone loves a hero, but you know what they love even more? An underdog who turns into a hero.” Love has been in short supply for a man who will be free to resume competing in July after serving a four-year doping ban. Many think he is lucky. Two positive tests usually mean a lifetime exile, but Gatlin argued that one was down to a drug he took for Attention Deficit Disorder and the second down to sabotage. His eight-year ban was cut to four by the US Anti-Doping Agency in 2008, but whereas Dwain Chambers belatedly confessed all, Gatlin has continued to pass the buck and strain credulity. But what next? He earned the moniker “Fat Boy” when he turned up to Georgia State University in 2008 and ran a lardy and tardy 6.59sec for 60 metres last March. Even if he turns out to be fast, his comeback will be a slow-burner because he is barred from the Diamond League and his own Project Bolt will have to wait until the 2011 World Championships. Will there be a new king of the marathon? Haile Gebrselassie has broken 27 world records and has taken the marathon mark to a mind-boggling 2hr 3min 59sec. His latest attempt on that will come in Dubai in a fortnight, when he will get a $1 million bonus if he is successful. However, many think that Sammy Wanjiru, the 23-year-old Kenyan, is now the best marathon runner, having taken the 2008 Olympic title in record time and followed it up with the fastest marathons run in Britain and the United States. A showdown between those two will top most wish lists.